Japanese Children’s Day is a national holiday that is celebrated annually across Japan on May 5th. In Japanese, this holiday is known as “kodomo no hi”. Kodomo means child, no means for, and hi means day. The holiday literally means, “a day for children”. The purpose of this holiday is to celebrate and wish for the happiness and well-being of all children. Until 1948, Japanese Children’s Day was known as “tango no sekku”, marking the seasonal change and beginning of summer or the rainy season, known as “tsuyu” in Japan. Tango no sekku was also referred to as Boys’ Day or the Feast of Banners. The holiday was later changed to Children’s Day to celebrate the good fortune and good health of both boys and girls alike. As is the case with many Japanese holidays, Children’s Day is often celebrated with time-honored traditions, and of course food. In the case of this holiday, many of the traditional foods are sweet desserts to be enjoyed by children. Below you'll find information regarding Children's Day traditions and food. 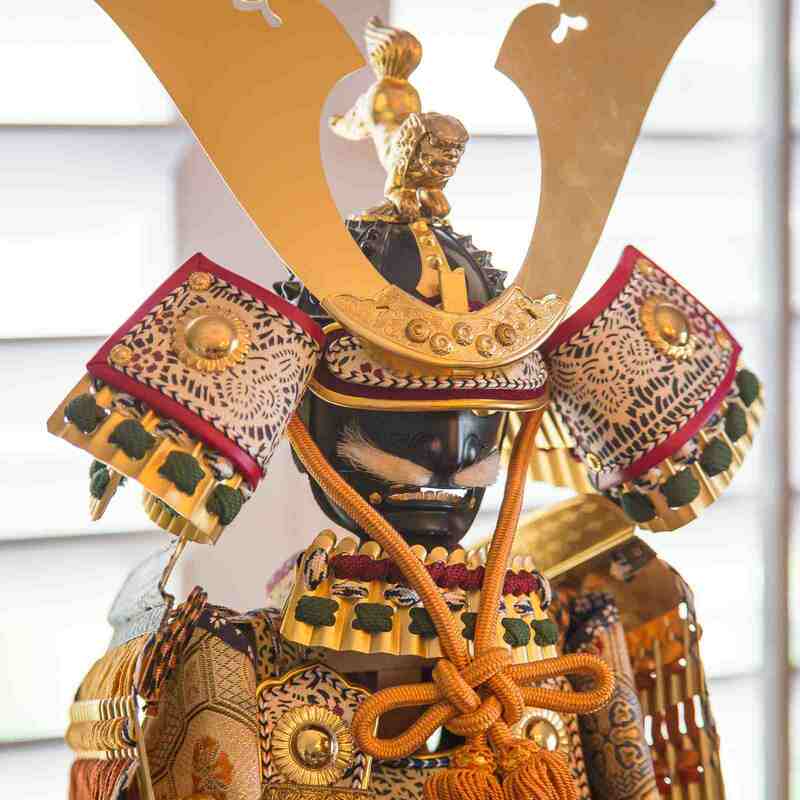 Japanese families display warrior helmets called “kabuto” in Japanese, as well as samurai dolls known as “gogatsu ningyo” or May dolls. Gogatsu means the fifth moon in the lunar calendar or the month of May, and ningyo means doll. The doll symbolizes strength and courage, especially for boys, during the time when Japanese Children's Day was still known as Boys' Day. During the days leading up to May 5th, or Children’s Day, families with boys in their family would raise colorful banners shaped in the form of carp. One carp would represent each boy in the family, beginning with the eldest at the top of the banner. In the wind, these carp would appear to be swimming in the sky, symbolizing the boys’ strength. Chimaki is a Japanese glutinous rice dumpling that is wrapped in a bamboo, banana, or reed leaf and steamed. It originates from the Chinese sticky rice dumpling known as “zongzi”. In Japanese cuisine, there are two variations of chimaki. The first type is savory and filled with different combinations of meats and vegetables. The second type is a sweet dessert. Sweet chimaki can be made with different ingredients; for example, glutinous rice, sweet red bean gelatin known as “yokan”, or kudzu powder. A great snack that both children and adults enjoy are small round rice cakes on skewers, known as kushi dango. For Children's Day, cafes, supermarkets and wagashi stores will sell tri-colored kushi dango. The pink and white color mochi are made with a mixture of joshinko (Japanese rice flour) and shiratamako (sweet glutinous rice flour). The texture of these mildly sweet dango are smooth, slightly moist to the touch, and has an elastic nature to it. Kashiwa mochi is a rice cake filled with sweet red bean paste and wrapped in a pickled oak leaf (kashiwa). In some regions of Japan, the rice cake is filled with a sweet miso-based white bean paste known as “miso-an”. In the springtime, leading up to May 5th, many Japanese supermarkets sell ready-made kashiwa mochi. While it is possible to make this wagashi (Japanese confection) at home, it is often difficult to come by ready-made pickled oak leaves or to make these at home. Some kashiwa mochi sold in the supermarkets use fresh oak leaves and are too bitter and not edible. These leaves are removed prior to enjoying the rice cake. As Japanese Children's Day approaches, sweet shops, cafes, and supermarkets in Japan and in the West sell a wide variety of desserts to celebrate this special holiday. Many traditional desserts involve sweet glutinous rice or flour, sweet red beans or white beans, sesame seeds, matcha green tea powder, and mugwort. Namagashi is a type of Japanese “wagashi”, which is a dessert that is enjoyed during Japanese tea ceremonies. Namagashi is often made of glutinous rice or “mochi” (rice cake) and is filled with ingredients such as sweet red bean paste, gelatins made of red or white beans, or jellies made of fruit. Namagashi is typically made without preservatives, and its texture is very soft and delicate. Its texture indicates that it contains more moisture than other types of wagashi. To commemorate Japanese Children’s Day (formerly Boy’s Day), kabuto namagashi is made in the shape of a samurai helmet. “Kabuto” means helmet in Japanese.